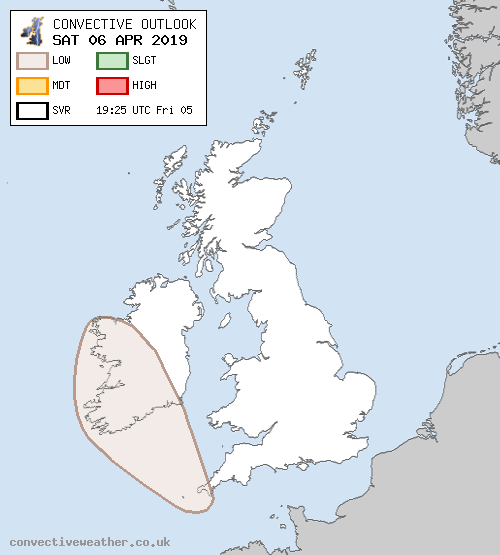 Yeah the Met office is showing more including Galway but they dont pick them all up , I believe they might miss around a third of sferics from lightning discharges. Often notice when reports come in that they might not show up on the radar or not as intense as being reported. 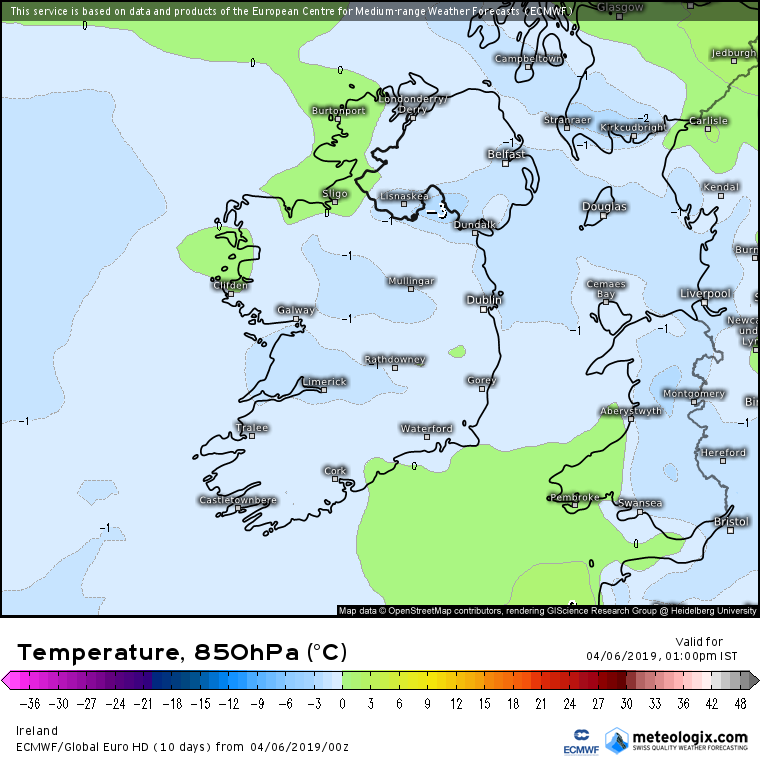 On the northern edge of the elongated upper low to the southwest of the British Isles, a shortwave will move northwestwards across the Celtic Sea and southern Ireland on Saturday. 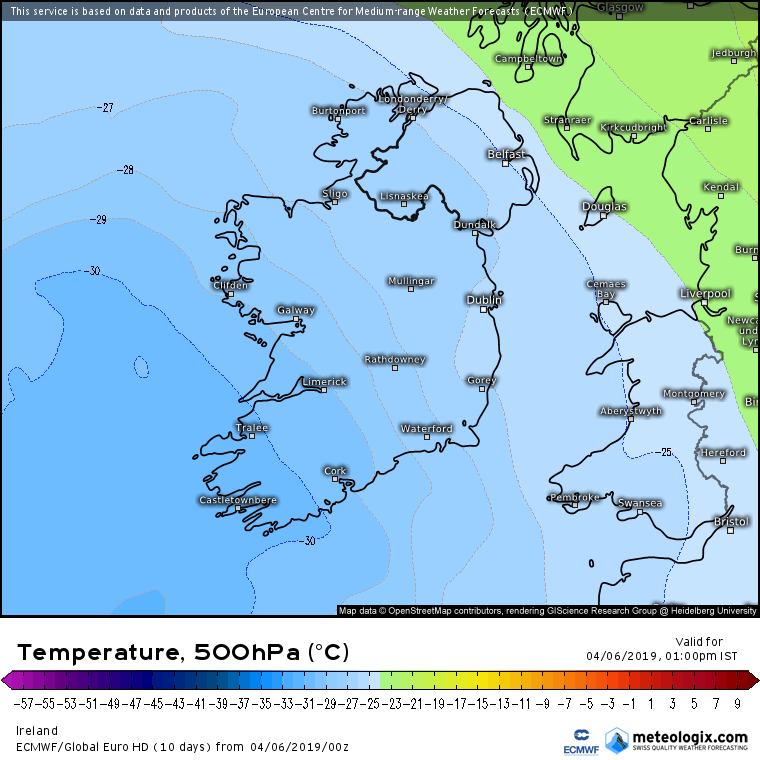 Elevated showers and one or two thunderstorms will be possible over the Scilly Isles initially, and over open waters to the south of Ireland during Saturday morning. 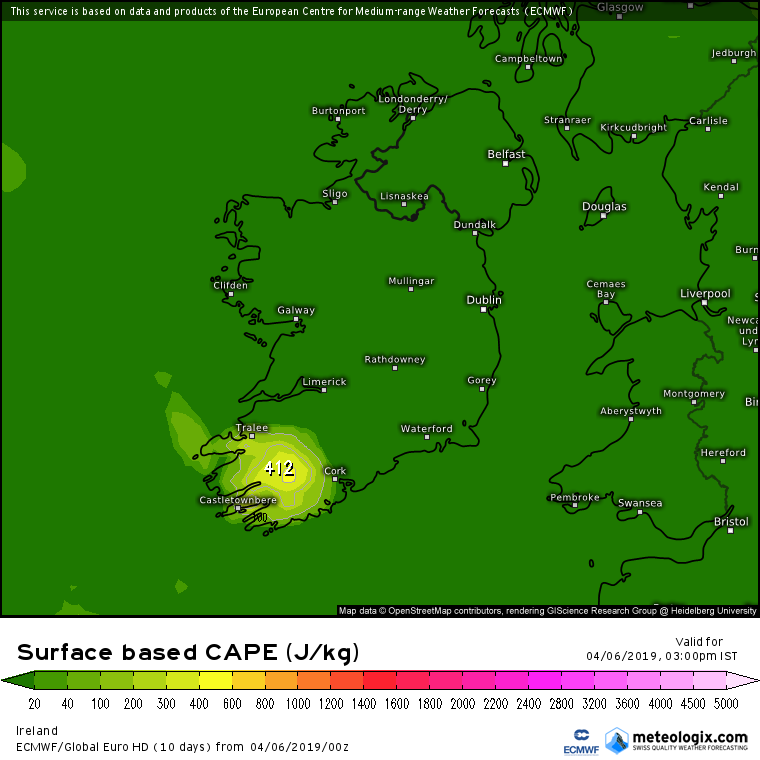 The associated cool mid/upper-levels with the aforementioned shortwave atop surface heating over southern and western Ireland will help generate a few hundred J/kg CAPE. However, main limiting factor is the fact that the shortwave is likely to move through before peak heating, so questionable as to how much of a favourable overlap will exist. 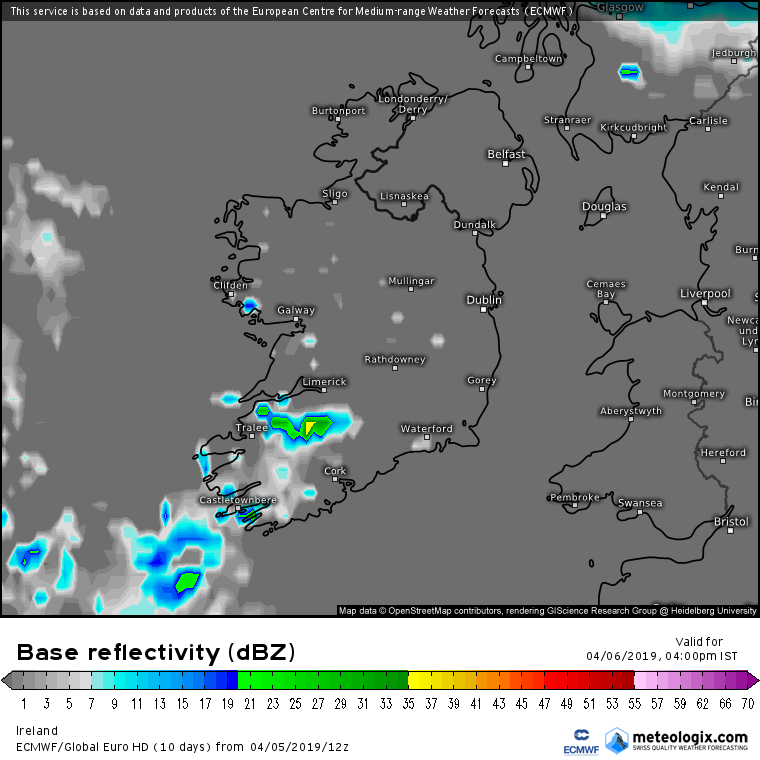 Nonetheless, a few isolated showers seem possible for a time within a reasonably sheared environment, and hence at least a low risk of lightning. Towards the end of Saturday night (i.e. nearer 06z Sunday) remnant / weakening instability will drift across the North Sea towards eastern England, with the potential for a few elevated showers atop a very moist boundary layer (sea fog / low cloud quite likely). 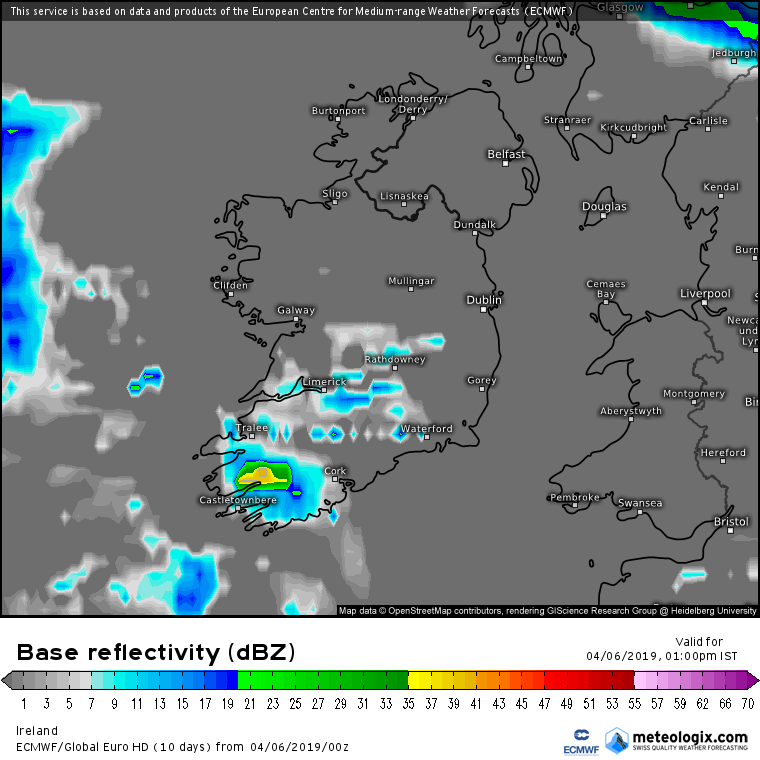 There is a very low risk of a few isolated lightning strikes with these showers, however given weak instability and very late arrival (it could be beyond 06z before any make landfall) for now we refrain from issuing any threat levels here. 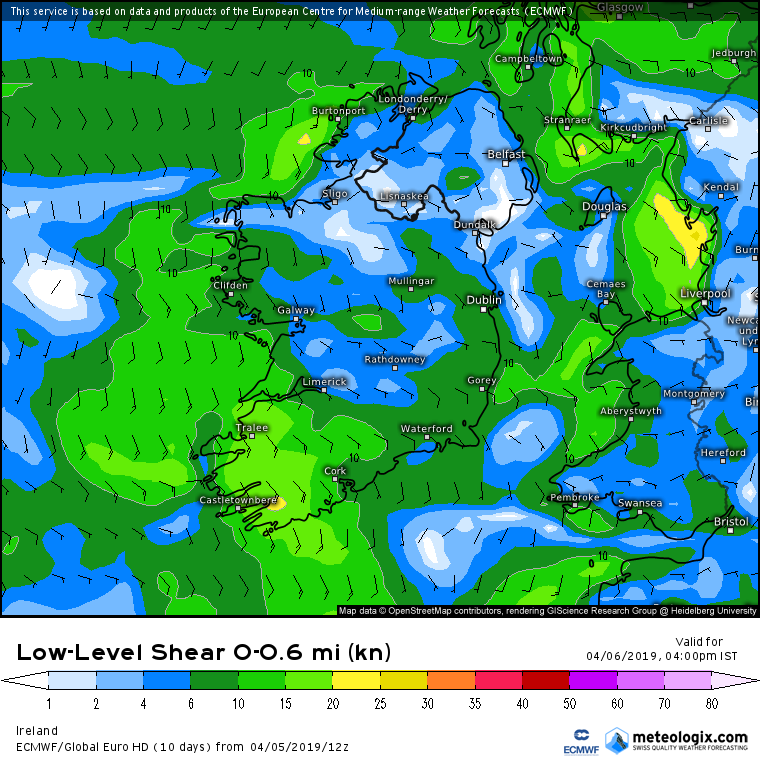 Bit of interest for the SW tomorrow to see if we get some lightning, like was said above the trough might be gone through before heating gets going, but a few clouds could get mature enough to become electrified in the afternoon perhaps. More DLS available then previous days, 2m temperature warmer at about 13C but 850 hPa temp up to about 0C or so and 500 hPa about -25 to -29C . The DLS might just swing it. If there is lightning I would take a punt and say possibly W, Cork, Kerry , Limerick or Clare ( will leave it a wide enough area ). Bursts of sunshine getting through here near Tralee. 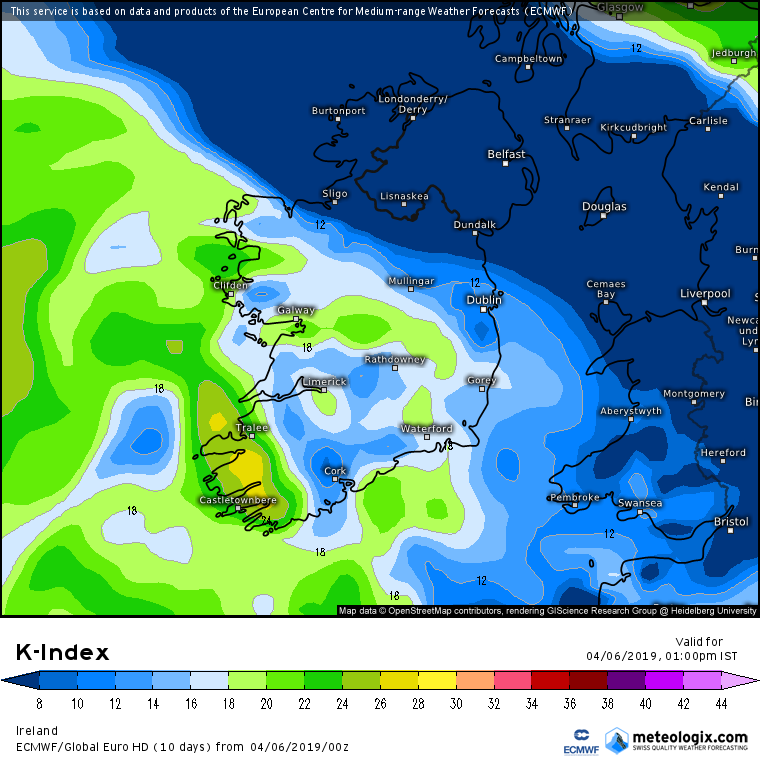 I'm interested to see if conditions will produce lightning here in Kerry this afternoon. 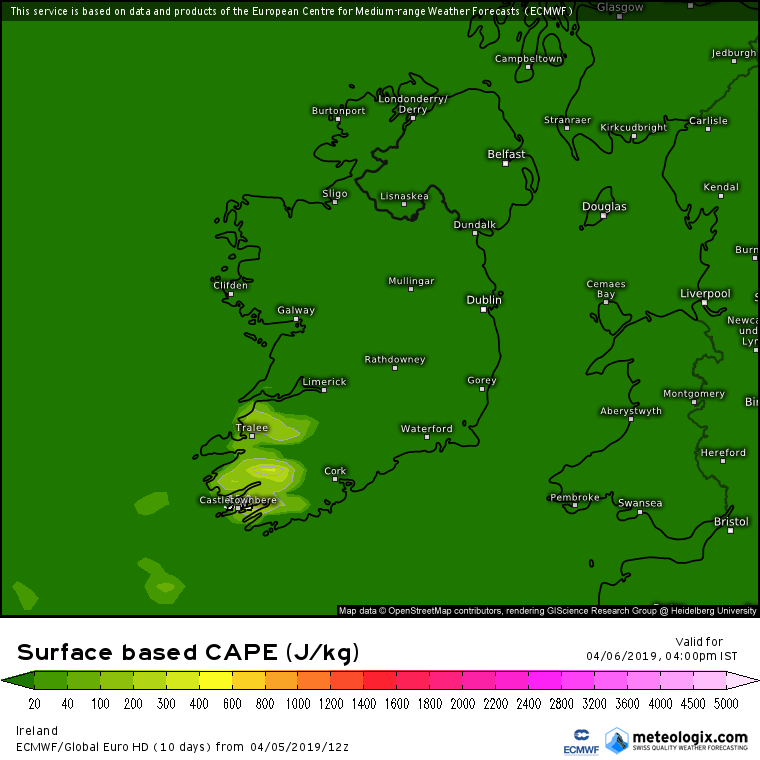 Cape looks good, LLS good, steep lapse rates, DLS not showing as good but some available nonetheless. K- Index higher than it has been recently. With these weather conditions passing over Kerry mountain lift might aid the development of a thunderstorm. Will see. 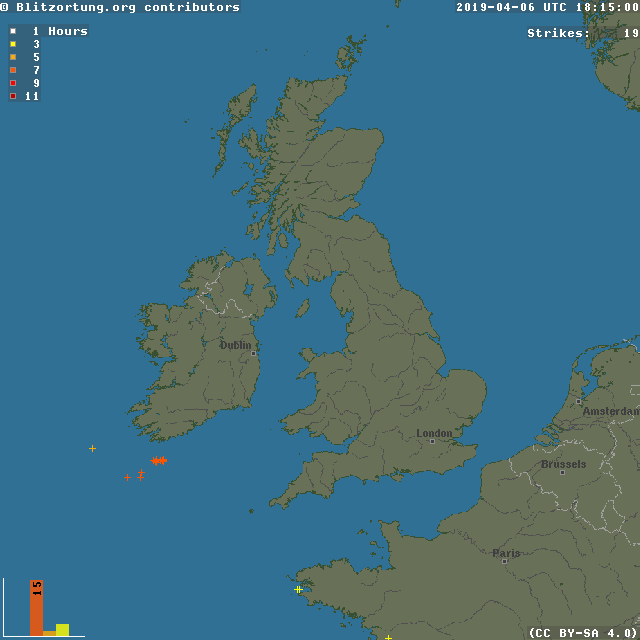 Just a few strikes well off the coast in the end. Nice big cloud structures here in Kerry with good sunshine, some showers showing up especially in mountainous areas but in general I would think nothing too heavy.